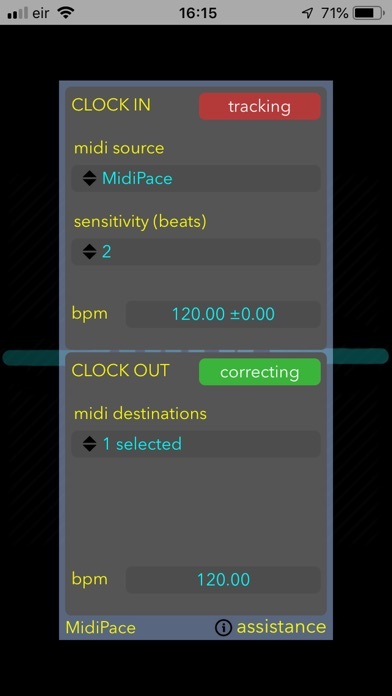 MidiPace removes jitter from MIDI clock signals with extremely high accuracy with zero latency. Feed it a poor clock signal and it will generate a perfectly smooth version using our highly rated clock generation algorithms for subsequent distribution. 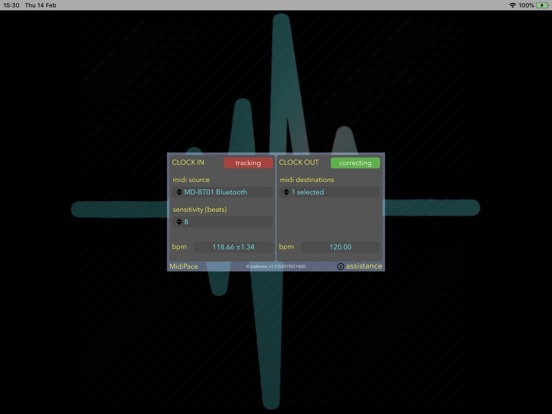 Or just use to distribute an incoming clock signal to any number of CoreMIDI destinations. 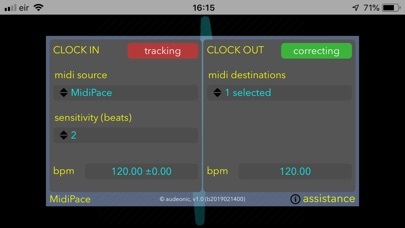 Please note: this application does not make sound and is designed only to be used standalone with CoreMIDI physical interfaces or supporting apps.